Without the softer and more artistic aspects, Kuala Lumpur will remain pretty much a concrete jungle. KLANG Valley folks must be keeping their fingers crossed, hoping they will be able to inherit a better planned and user-friendly city when the Greater Kuala Lumpur (GKL) initiatives materialise. If we look closer, Kuala Lumpur is just a sub-set of the Klang Valley and the GKL actually involves quite a number of local authorities as well as municipal and city councils. To be precise, the 279,327ha covers districts under 10 municipalities namely Kuala Lumpur, Putrajaya, Selayang, Ampang Jaya, Petaling Jaya, Subang Jaya, Shah Alam, Klang, Kajang and Sepang. To ensure this Economic Transformation Programme project becomes a reality, all the local authorities should join forces to achieve a common mission that has the potential to fast-track the GKL to join the ranks of the global liveable cities league. It has been observed that the top three “best” cities in the world, according to Mercer Consulting's Quality of Living Survey are Vienna, Zurich and Auckland - all have great connectivity, cultural and civic amenities and green spaces. The array of development projects that are going on in many parts of Kuala Lumpur and the other parts of the Klang Valley is indeed a rare and fortuitous opportunity for the GKL to be redesigned and revitalised to have the attributes of these global liveable cities. One of the major concerns, however, is that most development projects in our cities are still being planned on an ad-hoc basis without a clear focus or theme that is part of a holistic master plan. The importance of such a master plan cannot be over-emphasised as it acts as the development blueprint that will ensure all the different components will be planned in unison towards a bigger common objective. Among the key components to look into are the provision of adequate infrastructure for fast and cost-efficient connectivity of people (good public transportation, roads and highways) as well as data and information (broadband connectivity) and dedicated spaces for cultural and civic amenities and green spaces. It is time to showcase the softer and more artistic sides of Kuala Lumpur to promote cultural, arts and live performances which will intersperse with the brick and mortar of the capital city attributes that will create a more lasting impact on locals and visitors alike. Without those attributes, Kuala Lumpur will remain pretty much a concrete jungle. With the fast pace of life and the fast-changing world we live in today, things have grown more complicated with each passing day and it will help if our cities have the attributes to remind the people of the need to “slow down” and the value of seeking personal renewal and rejuvenation. Some quiet moments at the parks, art galleries, museums and libraries will do much good for the heart and soul. These are some of the facets of our capital city that have yet to be tapped and it should be showcased to the world. When considering projects for the city, planners should not just be motivated by the dollars and cents of how much profit can be churned out from the projects but more importantly they should bring back life and add value to the city's living environment. 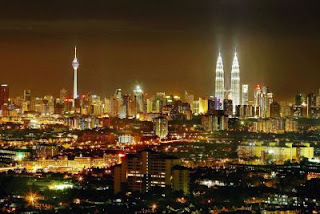 Despite its relatively “young age” compared with other older cities around the world, Klang Valley folks must have noticed that a number of sections around Kuala Lumpur have aged and grown quite dilapidated. They can actually do with some facelifts. One of the most obvious examples are the squalid looking apartments and flats that badly needed a new coat of paint at the very least. A good measure to prevent buildings from turning into slumps is to pass a legislation that requires property owners to upkeep and maintain the buildings' external facade and paint work at least once every five years so that they will not turn degraded and become eye-sores. Those who fail to do so will have to pick up the tab for the maintenance work that will be done on these buildings by the city councils. That way we can ensure that the buildings in the capital city will be kept in relatively presentable shape and will be able to blend in with other newer developments coming up in the city. Many of the old dilapidated buildings are high-rise municipal council flats that have been built many years ago and the residents are mostly tenants who do not have a vested interest in the upkeep of the property. In such a situation, the councils will have to uphold the responsibility of the building upkeep and maintenance. Deputy news editor Angie Ng shares the hopes of Klang Valley folks for a more liveable environment and quality of living all round.